« THR 251: What did he just say? Kapture wristband lets you save and share audio with a tap. 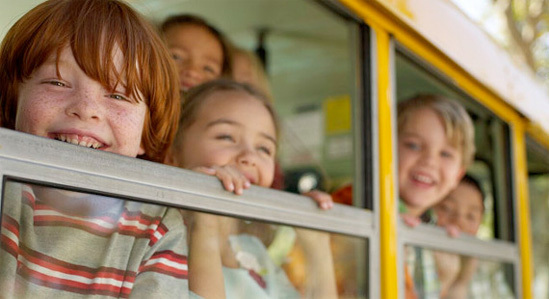 Remember back when a field trip meant everything? Although I feel like it’s a phrase that’s been used a million times, I still remember the first time someone told me, “It’s better to beg for forgiveness than ask for permission.” It was an executive at ESPN and remember him saying it with sly look in his eye, as if we were getting away with something. And maybe we were. Take a second and go back to your elementary school days. For months on end during the school year, the routine was the same… you rode a big yellow school bus in the morning, you worked your way through the same structured class schedule every day, the same teachers taught the same lessons about history and math and science that had been taught to the kids last year and the years before that, and you ate the same boring lunch in the same cafeteria. But there was one glimmering day that stood out like no other. A bastion of hope to escape this brick fortress, if only for a day: The Field Trip. This was the day the decrepit yellow bus turned into a chariot. As a boy growing up 15 minutes south of Boston, that meant a place like the Museum of Science, the New England Aquarium, or Boston Common. With the bus’ engine struggling along the expressway instead of small town side roads, the city loomed in the distance like Oz. But there was one crucial element: The permission slip from your parents giving the go-ahead. You could forget your lunch, forget your bus pass, or forget your homework, but you better not forget that permission slip. In fact, there’s a Simpsons episode where Bart is having a bad day and forgets his permission slip, and while the entire class goes on a field trip to a chocolate factory, he has to stay behind and spend the day with Principal Skinner. Not fun. But those days are now in the rearview mirror, with school replaced with work. Yet how many people go through the repetitive scene I’ve just described, moving from their school life to their work life? – Instead of the bus, they sit in traffic for hours on end. – What the field trip was to school, a weekend is to work. But the truth is, as an adult, you don’t need a permission slip to do something you love. is an author, investor, entrepreneur and the co-founder of reddit.com, one of the most popular sites on the internet. He didn’t take his management degree and grab the first full-time job he could get after graduating. Far from it. Instead, he found himself with friend Steve Huffman in the first ever session with Y-Combinator, a startup incubator. No one gave him permission to start his own company, and he didn’t ask. With his hard work and a little luck, the duo sold the company to Conde Nast, which sets Alexis up to do something he loves even more: investing new companies that are breaking the rules. was working for a company 5 years ago that most people associate with cookies, not careers… the Girl Scouts of America. After supporting a community of 15,000 girls, 5,000 volunteers, 75 staff, and making a huge impact on the organization, it was time to move from Southern California to New York City, and think even bigger. She is now the Executive Director of NY Tech Meetup, a 33,000-member non-profit organization and the largest Meetup in the world, helping to build a sustainable and diverse technology industry in New York. DID start out on the traditional path, working long hours as a video producer and director. Then one day, he simply wrote his own permission slip, deciding not to take a day off, but a year off. His project led to a TED talk, which led to an app to help others do the same, called one second every day. wanted to be an actress since the age of 6. After majoring in musical theater at NYU, she lived the life, performing everywhere from small towns and cruise ships to an appearance on Saturday Night Live. Today, while you’ll still occasionally find Michelle performing on the stages of New York, by day she is the When I Grow Up Coach, coaching creative women how to get out of their soul-sucking jobs and into work that feels like play. If you’re reading this at work right now, snap out of the memory of that trip to the Museum of Science as a kid. If most days you truly enjoy your work, fantastic. But if not, maybe it is time to give yourself permission to do something more interesting. Reboot Workshop: If you’re in New York and interested in hearing more about the stories of Alexis, Cesar, Jessica, and Michelle, come see them speak at my Reboot Workshop on Tuesday night, October 1, 2013. Enter code “iknowjim” to receive $10 off admission, which includes food, drinks, and a copy of Alexis Ohanian’s book, Without Their Permission. Reboot Workshop: Live Outside the 9 to 5. Know what you don’t have to ask permission to do? Get paid in a timely manner. Are you customers whining about paying their bills? Maybe it’s because your invoices look homemade on Excel or Word. 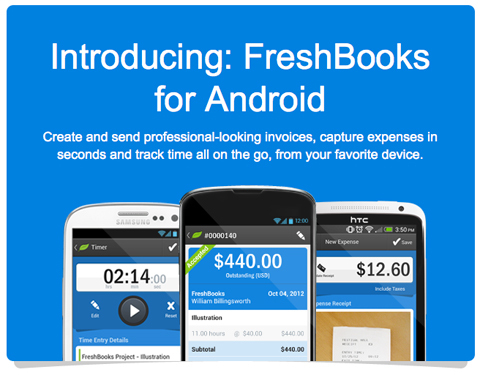 Better get Freshbooks instead. This entry was posted on Monday, September 30th, 2013 at 4:09 am and is filed under Job Search / Interviewing, Marketing Case Studies, New York City, Pop Culture / Entertainment, Reboot Nation/Workshop/Conference. You can follow any responses to this entry through the RSS 2.0 feed. Both comments and pings are currently closed.